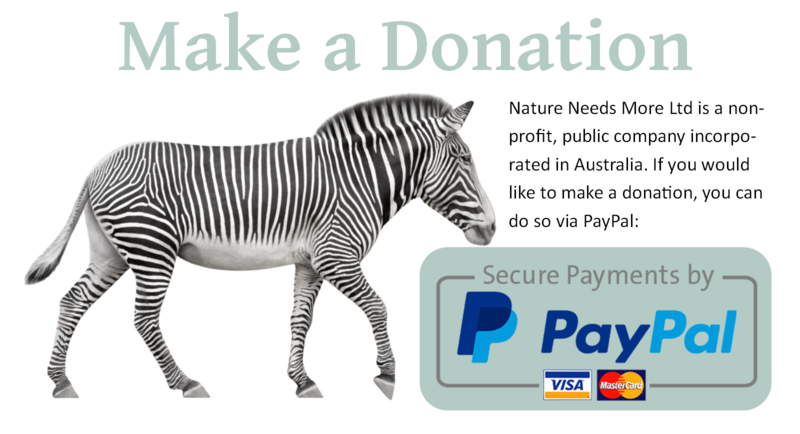 Nature Needs More is wholly funded through private donations. We do not apply for any type of government funding. Nature Needs More is entirely run by volunteers, so our administrative overheads are minimal. At present, they amount to less than 3% of donations.